Welcome to Trout Rock Wilderness Lodge on Great Slave Lake! 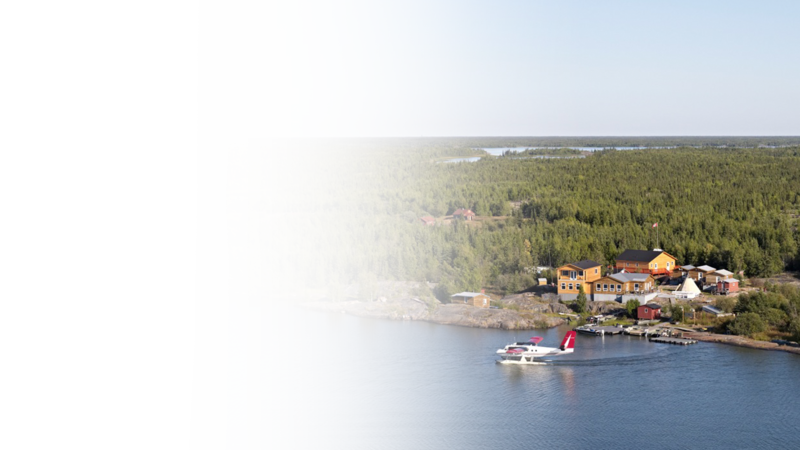 Trout Rock Island is located in the pristine North Arm of Great Slave Lake and is only a 12 minute float plane ride from Yellowknife. That means you will most likely fly in to the lodge the same day you leave home and avoid the hassle of staying at a hotel upon arrival in Yellowknife. Remember this is the “land of the midnight sun”. Trout Rock Lodge consists of a new main lodge for dining/meetings equipped with telephone, fully licensed lounge, flush toilets, fireplace and a fantastic view overlooking Great Slave Lake. Our guest cabins sleep up to 4 people each and are equipped with furnace, power and running water. There is also a shower house and wood stove operated hot tub on the premises. After supper you may want to hike around the island, go canoeing or shoot a few clay pigeons. 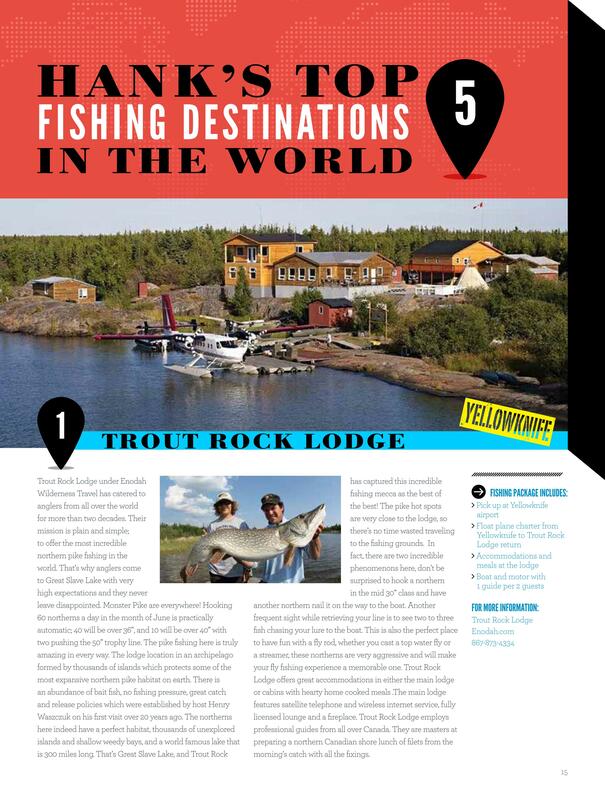 Trout Rock Lodge is picked as the number one of fishing destinations in the world! 1. Our minimum requirement are two persons. All rooms and cabins at the lodge are 4 beds. If 2 guests want to stay at the room exclusively, a surcharge of $75 + 5% GST per person per day will apply. Winter season lodge departure from Yellowknife is every Tuesday and Friday at 5:00pm. 2. There is no running water in winter season due to permafrost in wilderness location. Pacto toilet are in each room but not cabins, cabin guest has to use pacto at the main lodge. The government of Northwest Territories requires every angler to have a valid fishing license. Fishing license can be purchased at the lodge. For more info, see Fishing Regulations Guide. For more information on the Arctic Tracks Machine, see Hagglund on Arctic Tracks.